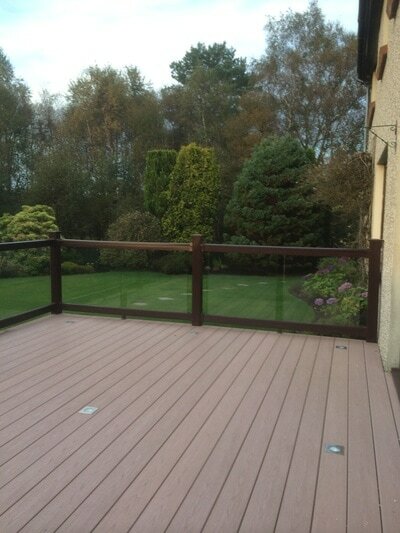 We supply and fit composite decking. composite decking is a great alternative to wood deck. 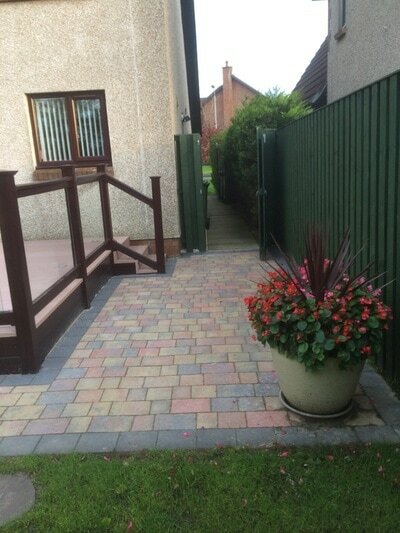 its non slip and low maintenance. 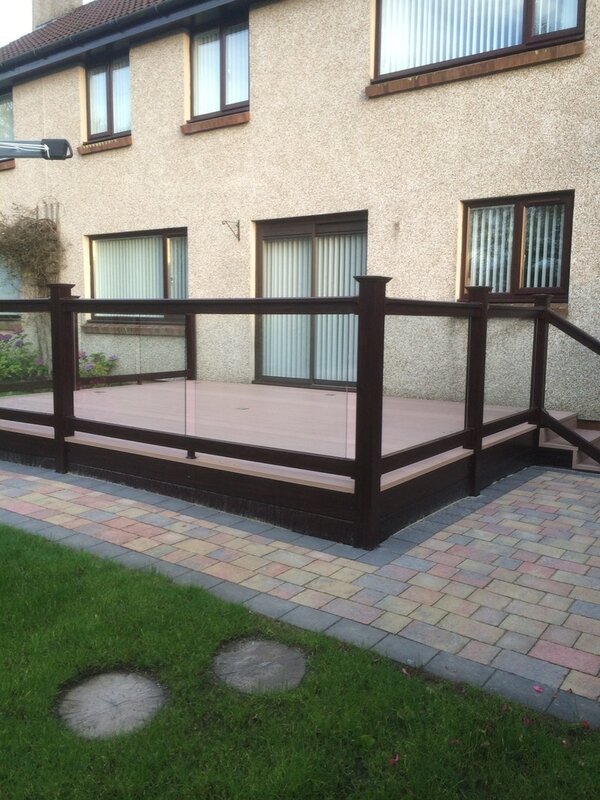 Match with glass balustrades for a high end quality look. Add LED lights so you can enjoy your garden at anytime of the day. 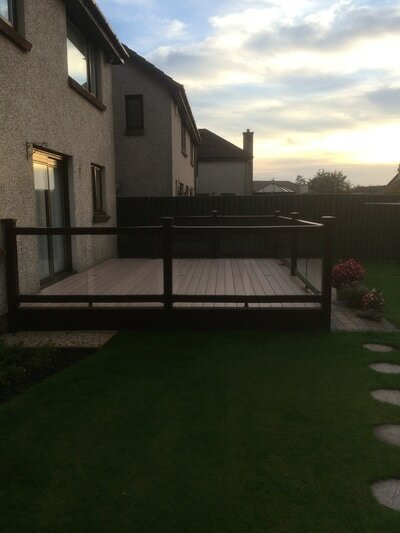 Donald Flooring and Contracts can also advise what to have round your decking to enhance your garden. We have ranges of artificial grass. We can lay a beautiful patio, just like this sandstone block.